Together they sum up the many wonders Morning Pages have brought me, so I won’t reiterate them here. But now that I look back over five years, I can also see a longer development. In the beginning, for example, my handwriting was hesitant and scraggly. I had to settle back into writing by hand, and five years of writing two full pages by hand every morning will do that for you. My handwriting is now smooth and confident, and flows easily. Most of the time, anyway, because I have also found that my handwriting reflects my state of mind: When I am jittery, my handwriting is jittery. Thankfully, quite often the sheer motion of moving the pen over the page has a calming effect. Most writers, I have found, are finicky about their writing tools, and I am no exception. Interestingly enough, I settled on the right kind of notebook at the very beginning: lined, hardbound, DIN A4 format, black and white. It is a bit heavy, so sometimes when I travel, I don’t take the current Morning Pages notebook along but carry a lighter lined notebook from which I will later tear out the pages and stick them into the real Morning Pages book. I write with a cheap black ballpoint pen, but it does have to be that type of pen, so I always have a stash of them handy. 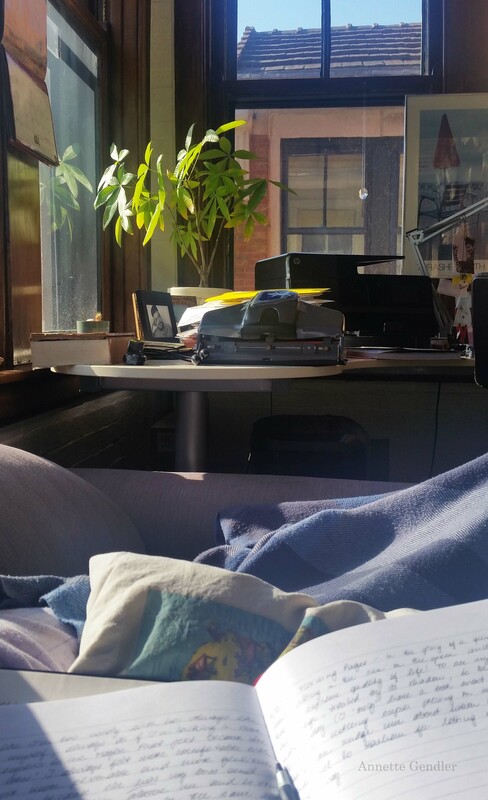 My sister (whom I also got into the habit of writing Morning Pages) recently asked whether I always write in the same spot. Normally I do, but I don’t have to. I just need a quiet spot in the morning. Usually it’s on the couch in the living room, but it can also be in a hotel room while my husband is taking a shower, or in another spot in our house when the family is roaming around. Speaking of family, everybody has gotten used to my writing in the morning, and everybody respects it. It’s just what I do. I mentioned the magic of making it to the second page in The Gift of Morning Pages but it still amazes me that, as I write on, most of the time, I’ll have some kind of insight towards the end of the second page, something that I didn’t see coming and could never have thought of actively. That is also when ideas pop up. This is what it means to be in the “flow,” to listen to your inner voice, to live life more deliberately and less re-actively. There are several recent bad decisions I avoided thanks to Morning Pages making me I realize I had been lured by the twinkling of false gold. I had forgotten how jumpy I had been at this time last year until I reread Sticking with Morning Pages. 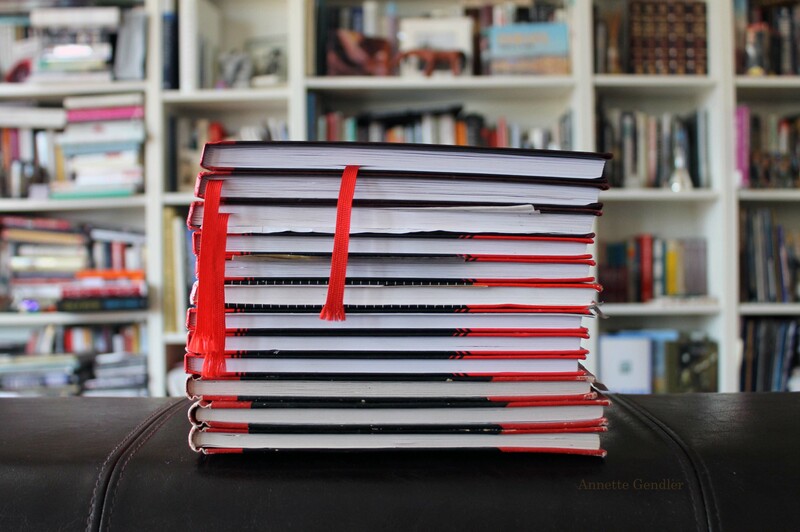 Launching and promoting a book had me in full project management mode, and Morning Pages were pretty much the only thing that kept me halfway grounded and deliberate about where I was running off to and what I was expending my energies and resources on. 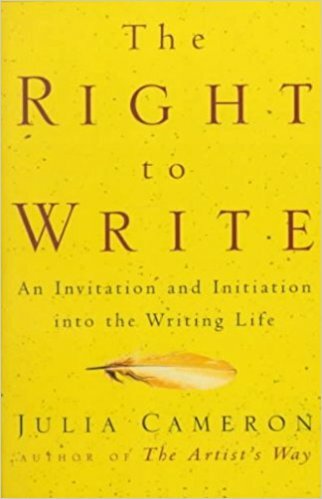 I would have not gotten into writing Morning Pages had it not been for Julia Cameron’s The Right to Write , and it is still the book I most often gift to others, along with the classic The Artist’s Way. I’ve recommended writing Morning Pages to all of my students, and many have taken up the ritual. 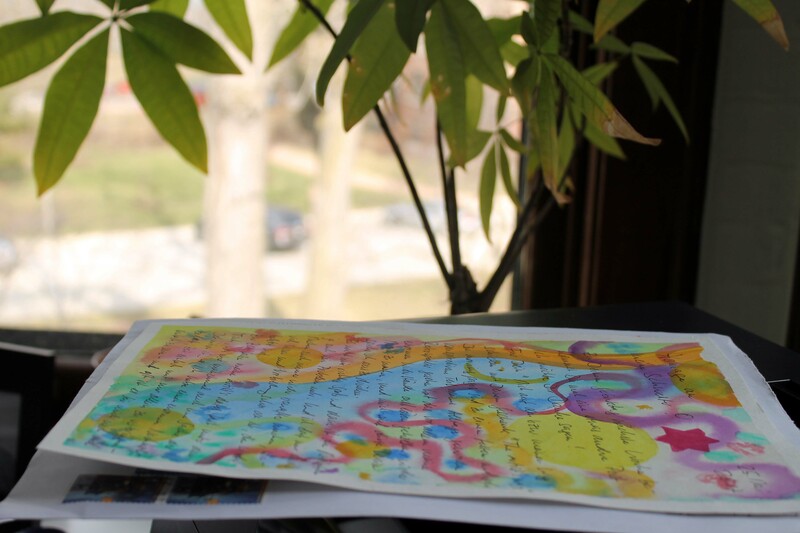 I am most proud of getting my sister into the habit; someone who is not a writer but rather a healer, a musician, and lately also someone who paints (as attested by her thank-you letter to me pictured above). Therefore, this five-year anniversary post would not be complete without paying tribute to and thanking Julia Cameron for showing me the way. She helped me understand the creative process, and she convinced me to give Morning Pages a try. Five years later, they are one of the anchors of my life; one I am only too happy to pass on. I’ve gotten so used to writing by computer that the only other writing I do is quick notes to myself, and even then, I’m merely using printing. My writing is illegible. Ha! I was pretty much the same way before I began writing Morning Pages! Love this post. I’m an on again, off again morning pager, but you’ve prompted me to turn it back on. Thanks. Yeay! I’m always happy to inspire!